Bigger tires need clearance and adding that suspension lift is only half the battle. 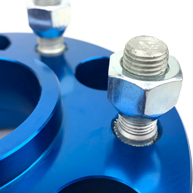 Spidertrax 1-3/4" thick, 5 on 5" bolt circle, 6061T6 aluminum spacers are an easy way of spacing out front and rear 2018 Jeep Wrangler JL & 2011-Up Jeep Grand Cherokee WK2 axles. 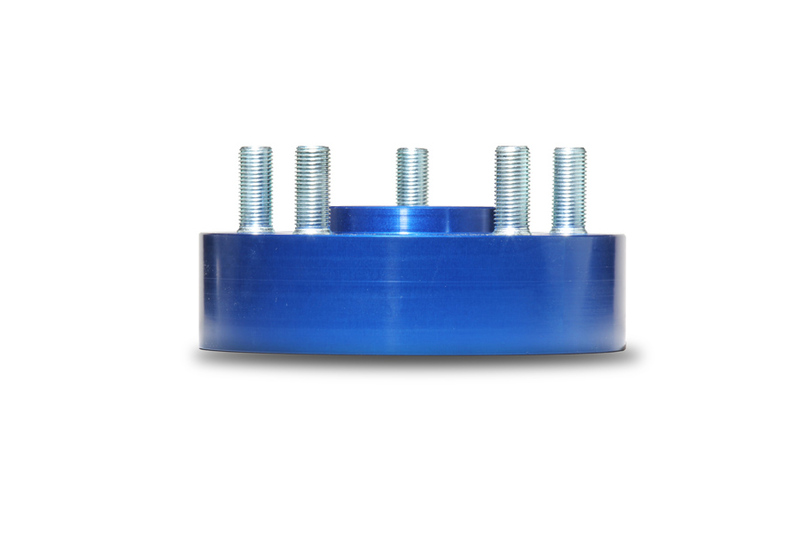 This added spacing is necessary for keeping those larger tires from crashing into your frame rails and suspension links at full turn. 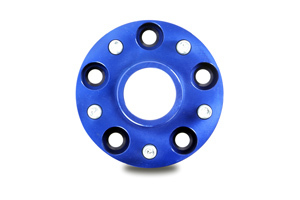 Simply bolt-on like a wheel, and off to the trails you go. 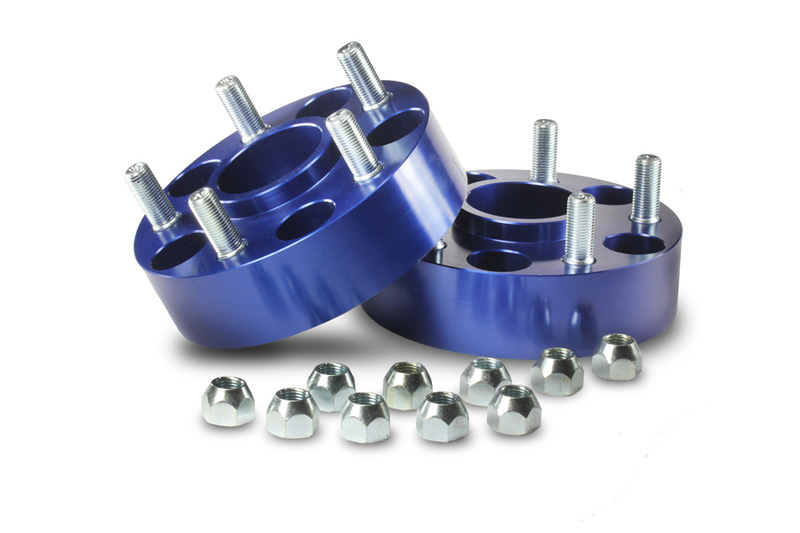 Each kit comes complete with 2 wheel spacers, 10 M14-1.5 Grade 10.9+ 4140 wheel studs (pre-installed), 10 lug nuts, and a package of thread locker. 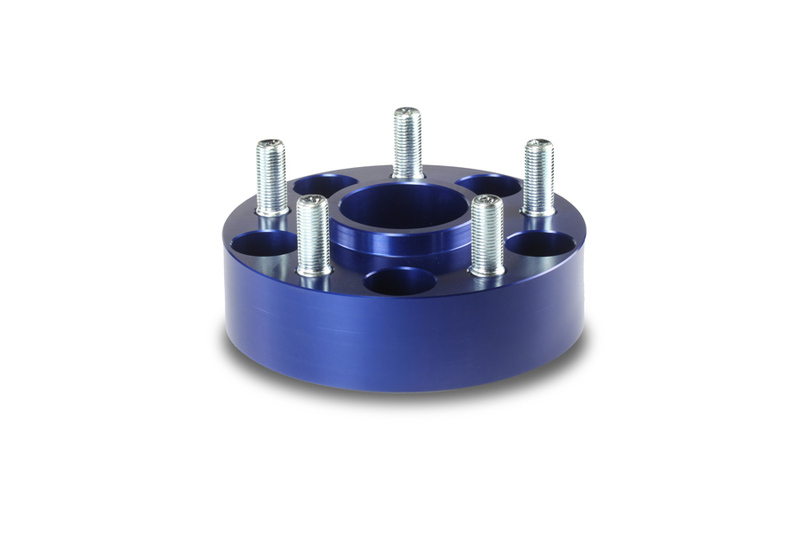 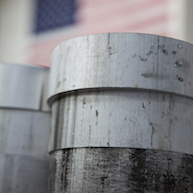 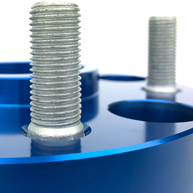 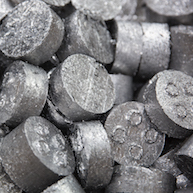 Each wheel spacer is anodized in blue, using a double anodizing process for twice the corrosion resistance. 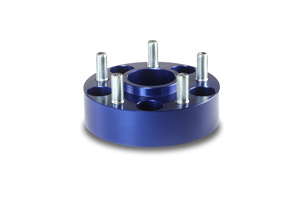 In addition, each wheel spacer is wheel and hub centric for a perfect fit.